China's traditional Spring Festival has long been the most lucrative film season of the year, so that studios put out the biggest and best of their blockbusters during this period. This year the season is even more heated than ever, jammed with at least eight tentpole competitors. Top comedians of the nation such as Stephen Chow, Shen Teng and Huang Bo will vie with each other, while also on offer there is a milestone Chinese sci-fi production, a Jackie Chan fantasy adventure, an anti-corruption crime film and two major animated features hugely popular among children. As going to cinema has become the most economical and easy means of entertainment for families to celebrate the Chinese lunar New Year, a series of box office records could be set. 8, "Boonie Bears: Blast into the Past"
In every Spring Festival of recent years, small children have been able to look forward to a Boonie Bears film. 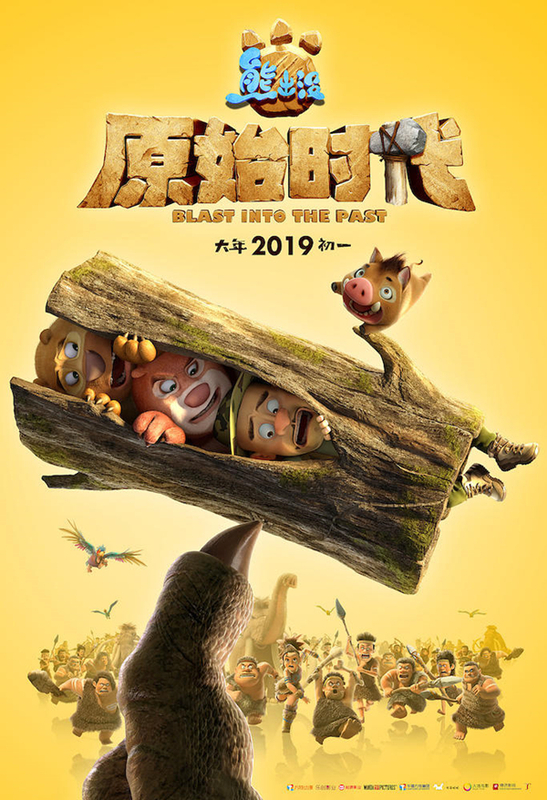 The sixth installment, directed by Ding Liang and Lin Huida, is a thrilling adventure of the three protagonists Briar, Bramble, and Vick traveling back to primitive times. A new character is being introduced -- a small pig in celebration of 2019, which is the Chinese Zodiac Year of the Pig. This is the sixth episode produced by Fantawild, the franchise becoming one of the most loved animation brands in China. The two most recent - "Boonie Bears: Fantastica" and Boonie Bears: The Big Shrink" screened during the past two Spring Festival holidays yielded revenue of more than 1.1 billion yuan (US$174 million). Also, in recent years, Fantawild has made considerable progress in its global distribution, enjoying a thriving international market while promoting Chinese culture. Currently Boonie Bears animated programs have been distributed to 82 countries and regions including the U.S., Italy and Mexico. "Boonie Bears: Blast into the Past" could reach new heights due to its large, growing fanbase and the fact that it is a good family entertainment.